So another fiercely competed FA WSL has come to an end with Arsenal Ladies reclaiming the crown as Super League champions. Those outside the women’s game looking in may question the league’s ability to be competitive, with yet another title for the Lady Gunners, and will possibly remark that it lacks compeition – but this was certainly not the case. While Arsenal did finish the league campaign unbeaten, it was certainly no stroll, with tests throughout the season from the other seven sides. But who were the standout performers? Who really shone through and who can claim that they performed to their full potential? My team of the season is what it says on the tin – mine! This is my view, which I am happy for people to debate over, but I in no way expect everyone to agree with me – this is what makes for interesting debate, isn’t it? So without further ado, I bring you my FA WSL Team of the Season for 2012. Bristol can boast the meanest defence in the league, along with Everton, and for me, a large part of that was down to Chamberlain. 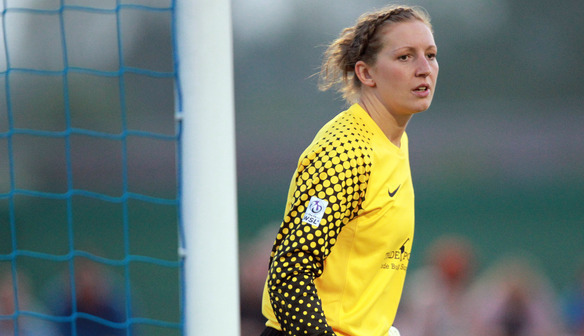 Her shot stopping and decision making were quality, and there is no doubt she played a huge role in ensuring Bristol almost went the whole campaign unbeaten away from home, losing at Everton on the final day. Unfortunate to miss out on the Olympics, Chamberlain is coming into her prime and I expect her to improve even more as the WSL adds further quality. Scott and teammate Kelly Smith were undoubtedly the marque signings of the WSL before the season started, and neither disappointed. Smith’s injuries meant Scott made more appearances, and was therefore able to influence more fixtures. Her attacking play with Gemma Davison down the right was frightening for any left-back, but she was also equally comfortable when having to defend. 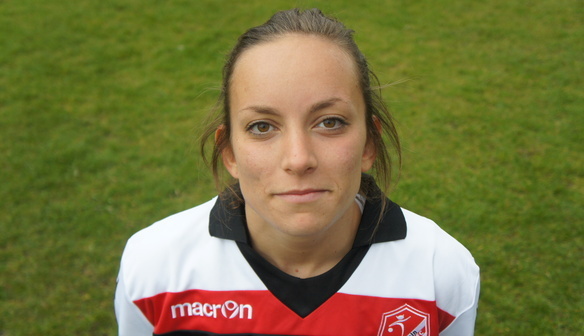 A regular for England, Scott is Miss Reliable, and has cemented her position for both club and country. Scott’s teammate, at just 21, is solid, quick and takes up good positions. I’ve never hidden my admiration for the youngster and make no apologies for including her. Playing alongside the likes of Ciara Grant and Faye White have clearly helped her, as she mopped up behind a midfield that contained the battling Katie Chapman, A class act, and will only get better. Solid, strong and like Chamberlain, a big reason for Bristol’s impressive defensive record. Good in the air, not afraid of the tough challenges, Rose, like Flaherty, was impressive this season and can’t be far away from Hope Powell’s squad. England has a bright future with so many young defenders coming through, and Rose is certainly up there with the best of them. 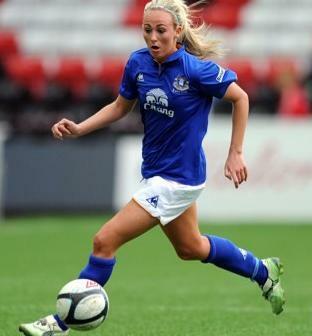 Pace, trickery and an eye for goal are all factors behind Duggan receiving a call up to Hope Powell’s England squad. 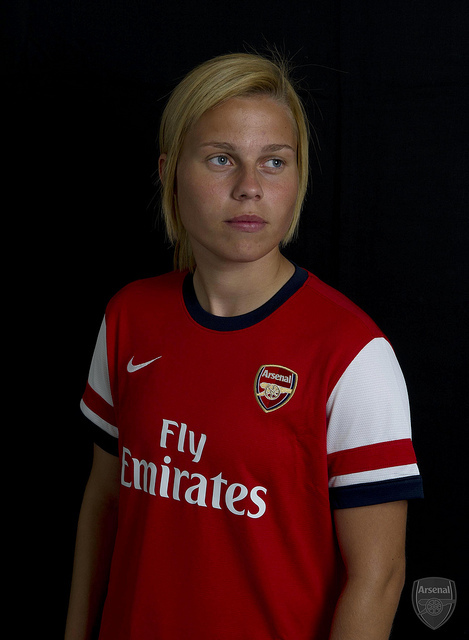 Her stunning 25-yard effort on the opening day of the season at Arsenal set the tone for her season, and she only got better throughout. It sounds insulting to describe a player as ‘the most improved’ in the league, but I genuinely look at this as a positive statement. It represents hard work, a willingness to learn and develop, while also showing an eagerness to cement a place in your tram’s starting line-up. Nobbs ticks all the boxes and has been outstanding in scoring six league goals for her club and earning a call-up to Hope Powell’s squad. A worthy addition! I hate to be Arsenal heavy, but when you’ve gone the whole season unbeaten, you’re going to have quality players to help achieve such a record. 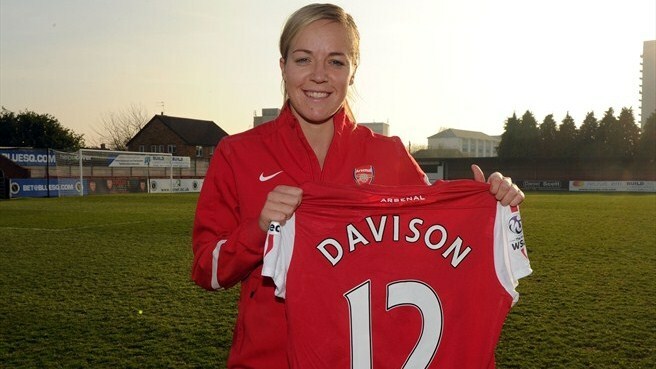 Davison took a little while to get into her stride, but it was away at Bristol Academy before the Olympics that she really showed what she is capable of. Quick, direct, good feet and decent delivery meant she supplied a number of opportunities for her teammates. Is she good enough for England? There is no doubt, but competition in her position is fierce. Player of the Season for me, and without doubt the most unfortunate player to miss out on this year’s Olympics. 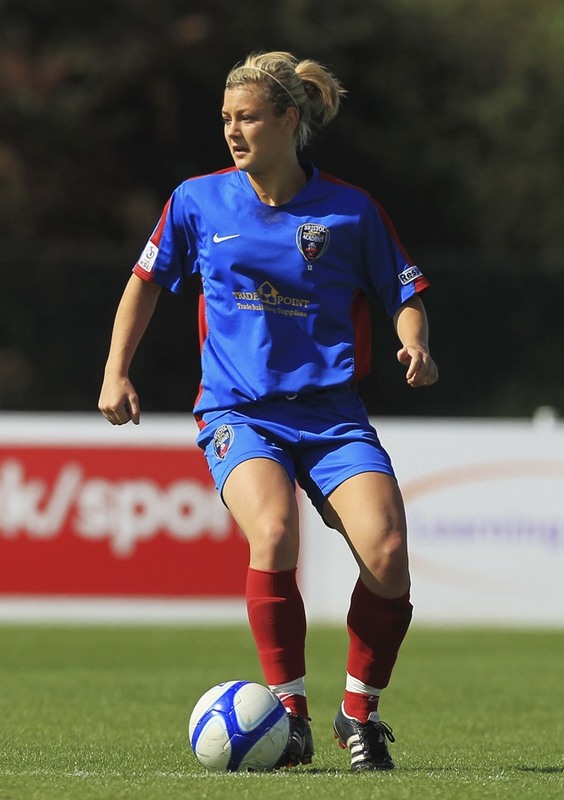 Fishlock has everything – good feet, strength, tenacity and an engine that has to he running on Duracell. Some will argue she’s too tough in the tackle, but take that desire out of her game, and you don’t receive the same influence. Chips in with goals and supports the back four, she is someone you want in your team. Lincoln were a strong side from set-pieces this season, and a big reason for this was the delivery of Staniforth. You don’t score eight goals at home against Arsenal unless you have a weapon to trouble them, and Staniforth was that weapon. Lincoln played two styles of football this year, with a difficult pitch at home meaning they had to play more direct. Staniforth was as good as anyone at adapting to both. Ran Jess Fishlock close for Player of the Season for me – she’s just got everything. Yet another superb season that has seen her top the WSL scoring charts, and whether you play her behind a striker or as a lone forward, she is always a threat. She proved how highly thought of she is in this country by playing every game for Team GB at the Olympics, and at 22, she’s only going to get better – scary thought! 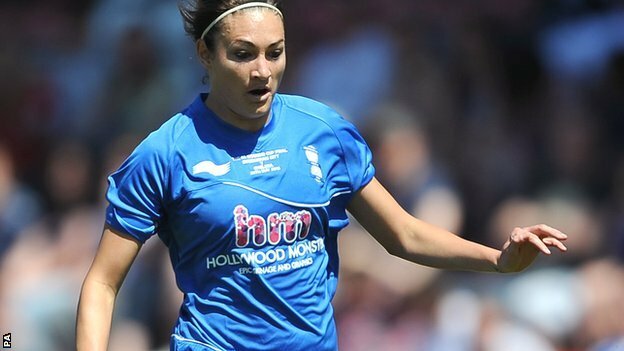 Going on loan to Lincoln last year seemed to do Taylor the world of good, as she proved to be Birmingham’s most lethal threat this time round. 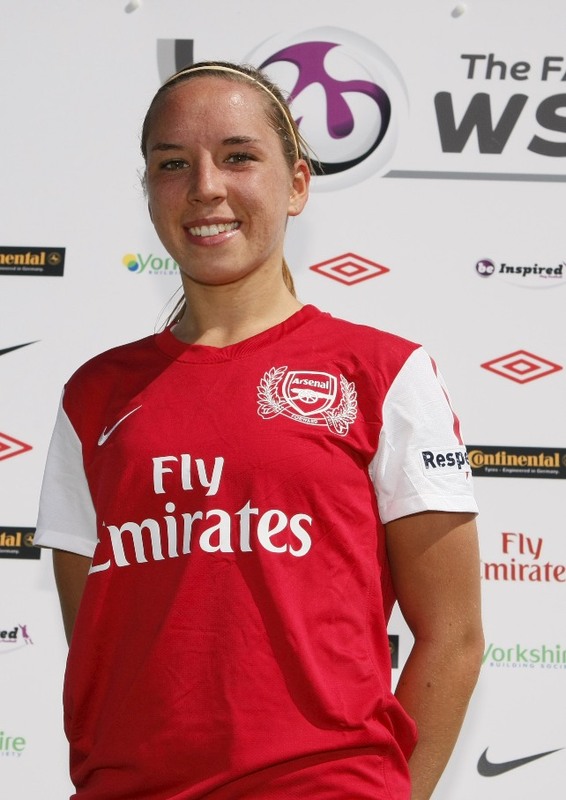 Taylor has qualities that differ to many of the strikers in the WSL. She’s not particularly quick, but she’s strong, good in the air and has a knack for the odd spectacular strike. Her performances this season took some of the pressure off of Rachel Williams, who was the club’s top scorer last year, and it can surely only be a matter of time before she is receiving an international cap. The most experienced keeper in the league. She’s been there, done it and worn the T-shirt, but still pulls performances out of the bag. Strong, powerful and organised, Stoney is the leader at Lincoln and continues to carve out performances for an improving side. In the games I saw, she was a big influence on a team that showed glimpses of brilliance. Consistency will be the key next year. Tireless worker who seems to be everywhere, and has a left foot like a magic wand. She once again proved what an asset she is with her work rate and contributed a number of assists for the attacking pair of Taylor and Rachel Williams. Her first season back after a stint at Birmingham, and she didn’t disappoint. Whether she was played in midfield or defence, Susi was arguably Chelsea’s most creative players, and even chipped in with a few goals. The most lethal striker in the first half of the season, helping to fire her team to the FA Cup final in the process. Lander will admit her form wasn’t the same in the second half of the season, but she still finished with seven goals – which was only second to Kim Little’s 11. I’d like to take this opportunity to thank every single one of the WSL players from all eight clubs for providing a thoroughly entertaining league season. I’m sure I speak on behalf of all fans when I say we look forward to your return in 2013.